1. Embodiment as an essential wellness skill for the mind. 4. Positive psychology practices, including scope and application. 7. The gunas (satva, rajas, tamas) and their role as a framework for mental health. 8. Safety considerations for the yoga teacher. Managing the teacher-student, therapist-client relationship. Dr. Ganesh Mohan is a physician trained in both conventional medicine and ayurveda. Son of A.G. Mohan and Indra Mohan, he started practicing yoga as a child, in the tradition of Krishnamacharya. He is well-versed in traditional yoga studies. 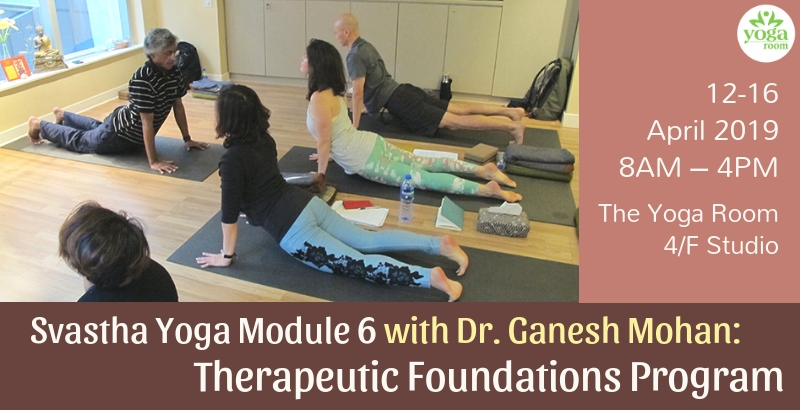 His work in therapeutic yoga centers around employing the most relevant methods from ancient and modern healthcare. He is the co-author of the Mohans’ book Yoga Therapy (Shambhala Publications, 2004) and Krishnamacharya: His Life and Teachings (Shambhala Publications, 2010). He is an advisor to the IAYT in the USA and the AAYT in Australia.